For an introduction to Tarotlogy, see ArkLetter 62. Click the Master Tarotology Icon to the right for a BLANK tarotlogy chart (no dates) to work on for yourself. This month's chart icon and its corresponding reading is below. The goal of these Tarotlogy articles is to translate the situation in the heavens at February's NewMoon into a Tarot report, using the astrological correspondences featured on the Tarot of the Holy Light. I'm really enjoying 'wood shedding' with the THL Icon from month to month, rough as it still is, because doing so allows me to showcase ways to unpack the Doctrine of Correspondences that saturates the historical esoteric paradigm. The European magi since Lull have been working diligently to create a tool that would reflect all of the features of heaven and earth, that would be as flexible as all the moving parts of the Solar system are, and that could be consulted on the fly, without needing multiple volumes on hand to decode it. With the Tarot it seems they hit the ball out of the park! The best part of it all is that the Icon shows the translations between Astrology and Tarot without having to do any calculations. You can just copy today's planetary locations right out of your datebook or Moon calendar onto the circle of the Zodiac provided in the Icon. The Icon shows all of the unique categories of the year's progressive unfolding, dovetailing the cards into the Zodiac and its ancient rulership pattern. 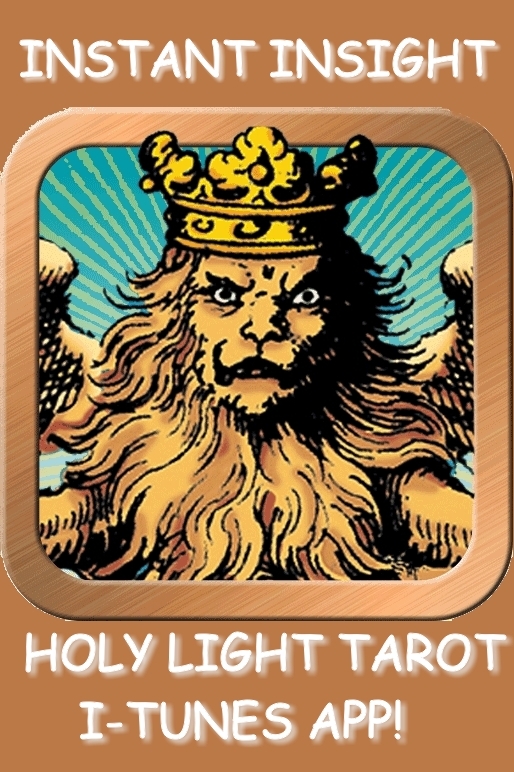 The Tarot of the Holy Light carries the historical body of correspondences that would inherently associate with the Marseille-style packs due to their Trump numbers. This same esoteric architecture flowed into more modern form through (and around) the Etteilla packs, which were the first ones to show occult symbolism explicitly on their faces, and which drew a whole new audience to the Tarot at the beginning of the 1800's. More recently, this model (with small but significant changes) has informed the decks of the Modern Continental Tarot apologists Levi, Wirth, Papus, Hall, Tomberg and Sadhu. There are two modern packs that summarize this transmission, each one showing Egyptian-style art on their faces -- the contemporary Ibis Tarot (representing the unchanged original Continental Trump order, matching the Marseilles pack and the THL) and the Tarot of the Ages (which follows the modern switch between the World and the Fool, attributed to Levi). 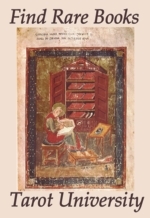 Last week I launched into a whole article about the European Doctrine of Correspondences, because it has become clear that Tarot historians have forgotten to include this widespread esoteric model when they form their opinions about how Tarot was viewed and used in past centuries. I wanted to post this article for you with this ArkLetter, but the article has gotten a little bit oversize and shaggy, so I can't quite release it yet. You'll see it as soon as I get it done, I promise! Pisces brings the floods before spring, and this coming month should be a doozie. With the NewMoon landing in the early degrees of the traditional realm of endings and surrender, this is a time to celebrate being released from outworn roles, allowing the recycling of your stuck energies. Imagine the psychic deluge of Pisces as a giant cleansing event that washes away accumulated toxins and replenishes exhausted aquifers. Add in the trance-inducing, oceanic depth of Neptune, spiced with the quicksilver associations and piercing intelligence of Mercury, and we are all exposed to a new way of knowing, a new view on what is real and permanent, versus what can easily be dissolved back into the stream of time and forgotten. After crossing the Saturnine step at the top of the Ladder of Lights (the signs Capricorn and Aquarius), we now begin to descend the ladder towards spring and summer. In Pisces we pass through the Jupiter step of the process, which challenges us to release every form of hypnosis, unconscious programming, pre-scripted reflex, or habitual and unthinking behavior that is holding our immediate self-definition in a frozen condition. The natural action of Jupiter releases growth potential that seeks to expand beyond the too-tight footprint of the past. Gratefully, the astral waters of Pisces will soften the glue that held our old image of ourselves together, letting us poke out new roots at the margins. For the sake of our karma and the world going forward, we might also want to ensure that the downstream footprint of our immediate lives is one of fertility rather than toxicity. We want to continue refining our lifestyles so that we become better at doing more with less. In mathematics, this is called "elegance", and it has to do with condensing processes down to moves of greatest efficiency. This is a great month to revisit your dreams and fantasies -- you may be closer to their fulfillment than you think! We continue to be catalyzed by the pulse of fresh energies coming from Uranus in Aries. This month the action is colored by the presence of Venus as well. We are all encouraged to reframe our definition of "the good, the true, and the beautiful", in order to scale our lofty ideals and expectations to fit inside our unique lives and circumstances. This being a Cardinal sign, thus associated with the Ace, 2, and 3 of the suit, there is a lot of energy for initiating changes and setting forth on new paths. The secret to success however, is to name your target and locate the bull's-eye right at the outset. The rule is that you can't get what you want, till you know what you want! So get some focus for these energies -- name and visualize the situation or project that you wish to dedicate this month's life force towards. This will instantly improve your productivity by orders of magnitude. Also as you go along, look around to see what new lives and ventures you want to support with your attention and encouragement. Venus/Empress is the "light of Nature", she reveals the true essence of whatever she shines upon. Like a good mother, the Empress looks upon the world with the eye of love, and everything she beholds becomes more resonant, more coherent, and more sublime. Practice loving the people and circumstances around you, and see what blooms as a result. Don't forget to regard yourself in the very same compassionate and forgiving light! Activating the Knight, 10 and 7 of Disks. Here is a dynamic image, even despite the retrograde! Standing in for the Strength icon, we see Morley's amazing image of anima mundi, the World Soul, pouring forth all the energy it takes to activate the planet and move it through its paces. Androgynous even in her lush femininity, Strength has the Sun and Moon for her eyes, and the whole landscape comes alive with her every mood-swing. Her alchemical form is that of the winged lioness -- thus the alchemical lion at her feet is her spouse and partner. Allow her to evoke a precedent-breaking and irresistible urge from your heart of hearts, and you will earn a spin on the Wheel of Fortune. Nobody can give you this opportunity; it is a product of your own belief in yourself and your place in the world. The Knight of Disks lives to refine base matter into gold, so give him permission to transform the merely adequate into fertile fields for your future ambitions. It's all about turning what you have into what you need. During this time of Mars' retrograde, willingly look over ground you thought you had covered before, knowing that the Devil is in the details. Be patient, don't blame outside sources, just remember that your diligence in policing the territory under your jurisdiction will reward you later, by attracting more important assignments. Demonstrate the virtues of the wise husbandman, who can not only get a crop out of the land, but does this in such a way that he improves it's fertility in the process. We have been enjoying Jupiter in Taurus for a while now, though his retrograde has somewhat complicated the transit. Everything that has depended upon the Emperor's benevolence and natural tendency towards increase went into a slump since late August. But now the period of apparent reverse-motion is past, and the Emperor is switching gears and pushing ahead towards completion. Taurus has the symbolism of being the sign of plowing and planting, thus the bull's-head glyph and the overt sexual symbolism on the card. In this last cycle of Jupiter, the Emperor needed to plow this field from three directions -- once to bust the sod, then to throw up the root balls that need to be removed (the retrograde), and now, finally, to add needed amendments and restore the soil to prime planting condition. On this final pass through Taurus (which ends June 27th), we can feel secure that the new projects we start will be allowed to go forward without further interruption. Nature is now ready to support the dreams that we have been nurturing in our hearts over the long dark months that are even now just passing. We should also remember that wherever Jupiter is transiting, that’s the arena of human experience where markets can be made or furthered. This is an excellent business climate for people to address basic human or planetary needs with simple, low-tech solutions that are scaled to the mom-and-pop level. It's time to trust the peasant-level creativity that weaves the ecological basket in which all civilizations are nurtured. "The People" love life, and they would love to discover a simpler way to get along with more local sustainability and fewer layers of expensive bureaucracy. The need of the people is acting like a magnet, pulling new appropriate-technology inventions and resource saving designs out of the collective unconscious, to meet the needs of the times. With this placement we are facing a bout of tough love, in the sense of needing to assimilate difficult truths. The primary difficult truth is to admit that our connection and integration with the larger social organism sometimes takes precedence over personal choices we might otherwise allow to dominate out time and energy. There are times we have to go along to get along, and it's actually not a bad thing. These two Trumps together can easily symbolize the left-right punch of social disapproval and internalized self-loathing that come with being too highly individuated. For karmic reasons, some people need to travel a hard road before they can arrive at tolerance, forgiveness, compassion and understanding, especially in relation to themselves. The Judgment card exists to remind us that every soul receives a million chances to perfect itself across the broad road of time. Therefore our own human compassion needs to become equally generous and optimistic, before we let ourselves be tempted to pass judgment upon others. If we can't keep our own counsel and refrain from feeling superior and entitled in the face of other's misfortunes, the 3 of swords will ensure that our own excess of criticism and lack of fellow feeling will come back around to haunt us. Meanwhile, consider the experience of the person who is made the scapegoat, who is "othered" by the superstitions and unexamined reflexes of those who think themselves righteous. In that situation, the only consolation is to relax and meditate, just fall into your center and wait it out. Be safe in the knowledge that you are paying off your debts while others are only increasing theirs. After you have been clapped into irons and set on display as a symbol of the problem, you are then marked as one who has atoned, and your dues have been paid. Perhaps it is safer to wear the scars of one who is already punished. This makes you no longer interesting, no longer attractive even to hate. Also the interior drama and suffering is extinguished in the course of the ordeal, and never again can you be manipulated by shame in the same way. The collective attention sweeps away, looking for fresher thrills, while you are left with a brand-new perspective born of being upended, shook out and hung up to dry by the very people you used to identify with. In the oldest Tarots, the psychological depth charge currently associated with the recently discovered planet Pluto would have been assigned to the letter of heavenly Fire, Shin. Finding the World card occupied by this transcendent Fire might strike some as anomalous. But in fact, this idea refers back to some of the earliest thoughts of the Greek philosophers, who reasoned that it is the friction of change that creates heat and therefore pain in this world. Friction causes the suffering of matter, brought about by the continuous fight against gravity and inertia. Our souls are Light incarnate, but the resulting heat of both excitation and irritation are the 'tax' we pay to maintain our existence in time and space. Hence, everything you see going on around you demonstrates spirit dancing in the excited force field of matter's struggle with energy. It's not matter itself that constitutes Reality, but the Light, heat and energy saturating and driving the world of form from the invisible planes. With that in mind, we can now envision the imposition of Divine Fire upon the fixed and crystallized form of the Tower, which is sometimes even named the Lightning-Struck Tower. This seems to presage a bolt from out of the blue that's due to arrive at any moment, shattering the pre-existing order. Structures that are brittle by design, top-heavy or unbalanced will be the first to lose integrity and topple. The Tower is a strong signal to disengage from top-down control hierarchies. Anything that is constructed has been imposed upon the landscape, rather than growing naturally from the landscape, and thus will distort the local flow of power-dynamics in the land. The Tower stands out as a garrison, sited to police the landscape, designed to challenge nature's wildness and control humanity's freedom of movement. For that reason it becomes a target for ungrounded energies, a lightning rod that attracts any disruptive discharge of ambient static. Nature arranges to pre-empt the heavy hand of human control structures by using forces beyond our control, in the meantime returning the natural order back to the ascendency again. This shows the Shin or Lightning, the Fire-force of Spirit to be a cleansing and revivifying force, however challenging it might be to endure in the short run. We also have a loose Grand Trine in the Earth Signs -- Taurus, Virgo and Capricorn. This figure firms up on March 15th, at which point all three planets Mars, Jupiter and Saturn will be at 9 degrees of each Earth sign, and Venus will be conjunct Jupiter. Whatever you are working on, concentrating on, or planning will benefit tremendously from the substantiating power of this aspect. This is the perfect climate for a launch of some type. Jupiter is finally leaving opposition with retrograde Saturn, which has happened while both were occupying signs that Venus rules. The only time an opposition is possible between these two signs is when something at the very beginning of Taurus is reflected by something at the very end of Libra, which is the condition we have been seeing lately. We may never learn all the negotiations that have been going on behind the scenes with respect the delicate and threatening times we are living in, but I am very glad that the civilizing influence of Venus has been hosting the conversation on both ends of the confrontation. Saturn and Jupiter tend to serve as left and right hands of human collective issues, because Jupiter (currently in Taurus) expands where Saturn (currently in Libra) contracts. I'm encouraged to see "the people's sign" Taurus being strongly represented by Jupiter, even as the "group mind" is undergoing a reframe from Saturn's retrograde. It's quite right that as a people we should be asking ourselves how we want our considerable resources administered. Hopefully as this opposition dissolves, it will dispense blessings to the 99% and ask for more accountability from the 1%. With Saturn/Judgment going retrograde while Mars/Strength and Jupiter/Emperor are forward moving, the Emperor is clearly favored by the in-pouring energy from the materializing Grand Earth Trine. Meanwhile Saturn is voluntarily facing and accepting necessary limitations in the sign of his exaltation, Libra. There will never be a better time or place for Saturn to go retrograde. He is helping everybody to cut back on our irrational expectations, wasted efforts and false fronts. We can all just gently relax our intensity and find simpler, less expensive, more grass-roots way to share and entertain ourselves together. The heedless rush towards winning over all is slowing down, replaced by the life of the philosopher-king, who willingly chooses simple being over complicated doing. Along with the necessary material downsizing that so many of us are doing, we are freeing up our minds and identifications as well. Who needs to worry about the big house, fancy car, and a life of posing and "appearing as if", when we can instead gear down into a life of authentic engagement with the few things that really matter? Saturn is the Time Lord, so he will reward those who don't waste their time with inessential distractions. What we successfully detach from in the way of useless trappings, we will be rewarded for in the return of time and energy freed up for new uses. Plus there's no telling what wonderful things can be accomplished when all that stuck energy is released and reassigned! In short form, let's try to use this month to preview our future path, so we won't have to wake up to a bunch of mistakes in mid-summer when it's too late to catch up with missed opportunities. Know what you want to achieve and narrow your sights to focus on that. Stay open for the blessings that are coming through coincidences brought about by the Earth signs -- Taurus, Virgo and Capricorn. Remember that the bird in hand is worth two in the bush. Take advantage of retrograde Mars/Strength and Saturn/Judgment; use this time to consolidate your gains and ensure that the wake you leave takes care of everybody who is affected. Aggressively love your life and fiercely defend those parts that contain the magic. By knowing what you want to preserve, and holding on against the deluge, you can start the next cycle on your own high ground. Enjoy the last month of winter, 2012. May it usher us all into a very fortunate, creative and transformative era. I do hope that people take advantage of your wonderful icon, and work with the Tarot of the Holy Light. The icon makes it all come alive!